Ancient alchemists tried to turn lead and other common metals into gold and platinum. Modern chemists in Paul Chirik's lab at Princeton are transforming reactions that have depended on environmentally unfriendly precious metals, finding cheaper and greener alternatives to replace platinum, rhodium and other precious metals in drug production and other reactions. They have found a revolutionary approach that uses cobalt and methanol to produce an epilepsy drug that previously required rhodium and dichloromethane, a toxic solvent. Their new reaction works faster and more cheaply, and it likely has a much smaller environmental impact, said Chirik, the Edwards S. Sanford Professor of Chemistry. "This highlights an important principle in green chemistry—that the more environmental solution can also be the preferred one chemically," he said. The research was published in the journal Science on May 25. "Pharmaceutical discovery and process involve all sorts of exotic elements," Chirik said. "We started this program maybe 10 years ago, and it was really motivated by cost. Metals like rhodium and platinum are really expensive, but as the work has evolved, we realized that there's a lot more to it than simply pricing. ... There are huge environmental concerns, if you think about digging up platinum out of the ground. Typically, you have to go about a mile deep and move 10 tons of earth. That has a massive carbon dioxide footprint." Chirik and his research team partnered with chemists from Merck & Co., Inc., to find more environmentally friendly ways to create the materials needed for modern drug chemistry. The collaboration has been enabled by the National Science Foundation's Grant Opportunities for Academic Liaison with Industry (GOALI) program. One tricky aspect is that many molecules have right- and left-handed forms that react differently, with sometimes dangerous consequences. The Food and Drug Administration has strict requirements to make sure medications have only one "hand" at a time, known as single-enantiomer drugs. "Chemists are challenged to discover methods to synthesize only one hand of drug molecules rather than synthesize both and then separate," said Chirik. "Metal catalysts, historically based on precious metals like rhodium, have been tasked with solving this challenge. Our paper demonstrates that a more Earth-abundant metal, cobalt, can be used to synthesize the epilepsy medication Keppra as just one hand." Five years ago, researchers in Chirik's lab demonstrated that cobalt could make single-enantiomer organic molecules, but only using relatively simple and not medicinally active compounds—and using toxic solvents. "We were inspired to push our demonstration of principle into real-world examples and demonstrate that cobalt could outperform precious metals and work under more environmentally compatible conditions," he said. They found that their new cobalt-based technique is faster and more selective than the patented rhodium approach. "Our paper demonstrates a rare case where an Earth-abundant transition metal can surpass the performance of a precious metal in the synthesis of single-enantiomer drugs," he said. "What we're starting to transition to is that the Earth-abundant catalysts not only replace the precious metal ones, but they offer distinct advantages, whether it's new chemistry that no one's ever seen before or it's improved reactivity or reduced environmental footprint." "The manufacture of drug molecules, because of their complexity, is one of the most wasteful processes in the chemical industry," said Chirik. "The majority of the waste generated is from the solvent used to conduct the reaction. The patented route to the drug relies on dichloromethane, one of the least environmentally friendly organic solvents. Our work demonstrates that Earth-abundant catalysts not only operate in methanol, a green solvent, but also perform optimally in this medium. "This is a transformative breakthrough for Earth-abundant metal catalysts, as these historically have not been as robust as precious metals. Our work demonstrates that both the metal and the solvent medium can be more environmentally compatible." Methanol is a common solvent for one-handed chemistry using precious metals, but this is the first time it has been shown to be useful in a cobalt system, noted Max Friedfeld, the first author on the paper and a former graduate student in Chirik's lab. Cobalt's affinity for green solvents came as a surprise, said Chirik. "For a decade, catalysts based on Earth-abundant metals like iron and cobalt required very dry and pure conditions, meaning the catalysts themselves were very fragile. By operating in methanol, not only is the environmental profile of the reaction improved, but the catalysts are much easier to use and handle. This means that cobalt should be able to compete or even outperform precious metals in many applications that extend beyond hydrogenation." Chirik said: "This is a great example of an academic-industrial collaboration and highlights how the very fundamental—how do electrons flow differently in cobalt versus rhodium?—can inform the applied—how to make an important medicine in a more sustainable way. I think it is safe to say that we would not have discovered this breakthrough had the two groups at Merck and Princeton acted on their own." "Instead of trying just a few experiments to test a hypothesis, we can quickly set up large arrays of experiments that cover orders of magnitude more chemical space," Shevlin said. "The synergy is tremendous; scientists like Max Friedfeld and [co-author and graduate student] Aaron Zhong can conduct hundreds of experiments in our lab, and then take the most interesting results back to Princeton to study in detail. What they learn there then informs the next round of experimentation here." Chirik's lab focuses on "homogenous catalysis," the term for reactions using materials that have been dissolved in industrial solvents. "Homogenous catalysis is usually the realm of these precious metals, the ones at the bottom of the periodic table," Chirik said. "Because of their position on the periodic table, they tend to go by very predictable electron changes—two at a time—and that's why you can make jewelry out of these elements, because they don't oxidize, they don't interact with oxygen. So when you go to the Earth-abundant elements, usually the ones on the first row of the periodic table, the electronic structure—how the electrons move in the element—changes, and so you start getting one-electron chemistry, and that's why you see things like rust for these elements. Chirik's approach proposes a radical shift for the whole field, said Vy Dong, a chemistry professor at the University of California-Irvine who was not involved in the research. "Traditional chemistry happens through what they call two-electron oxidations, and Paul's happens through one-electron oxidation," she said. "That doesn't sound like a big difference, but that's a dramatic difference for a chemist. That's what we care about—how things work at the level of electrons and atoms. When you're talking about a pathway that happens via half of the electrons that you'd normally expect, it's a big deal. ... That's why this work is really exciting. You can imagine, once we break free from that mold, you can start to apply it to other things, too." Moving from two-electron chemistry to one-electron chemistry is a huge deal. This may be one of the most transformative discoveries of the year in terms of eventual impact on industry. I say this even if the environmental benefits and lower cost aspects of this discovery are discarded. The number of new reactions possible using one-electron chemistry is staggering. https://news.sky....0784120, it's also humanitarian problem. What you say about cobalt is absolutely true. It is also at least 10x less less environmentally harmful to mine than precious metals simply because the ores are so much richer and there is far less waste. In addition diclor is a nasty solvent. It is quite volatile, toxic, flammable, and is a potent greenhouse gas. Replacing it with CH4 is a huge win for the environment. 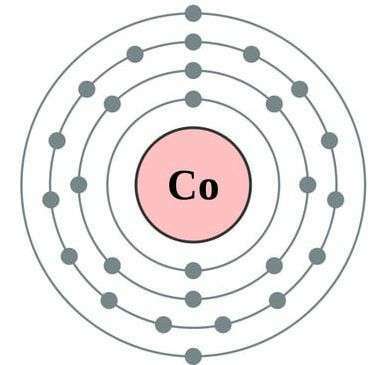 Lastly, keep in mind that the cobalt is being used as a catalyst, not as an active component. Catalyst recovery can mitigate most of the material loses.